A beautiful macro shot of this lady bug captured with ideal lighting condition and the contrast colors looks amazing while the shallow depth in half BG against the sharp edge of the leaf is well composed. Good lighting on this red bug contrasting marvelously with the green leaves. Very critical focusing not so perfect, I would prefer shallow focusing on the bug itself. I think you concentrated on the head of the insect and part of the nearby leaf. 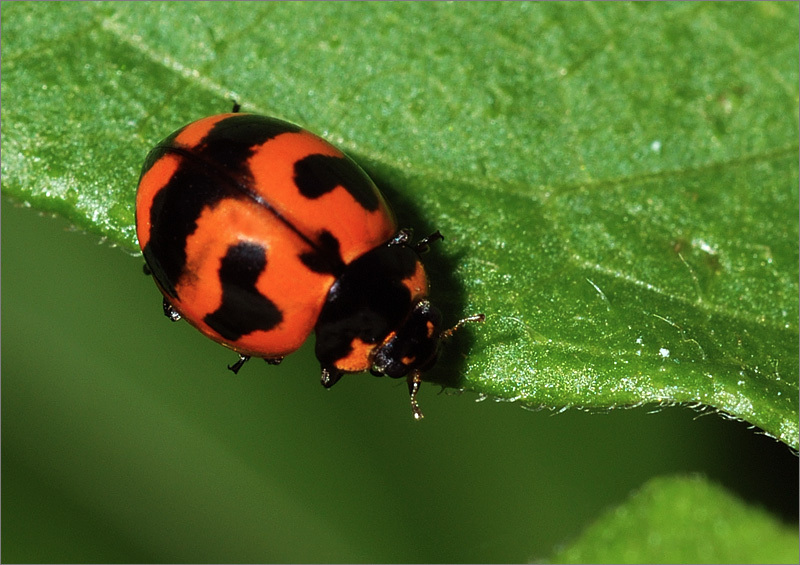 a beautiful macro shot of wonderful lady bug.